GroupLink » Can Every Department Use a Help Desk? As your organization or business grows, so does a list of issues from both employees and customers. Without proper management and scalable tracking of concerns and requests, it is most likely that issues will only escalate leading to many unhappy stakeholders. Thankfully, the challenges to both customer and internal end-user support, have been helped by the affordable availability of technology such as help desk software. 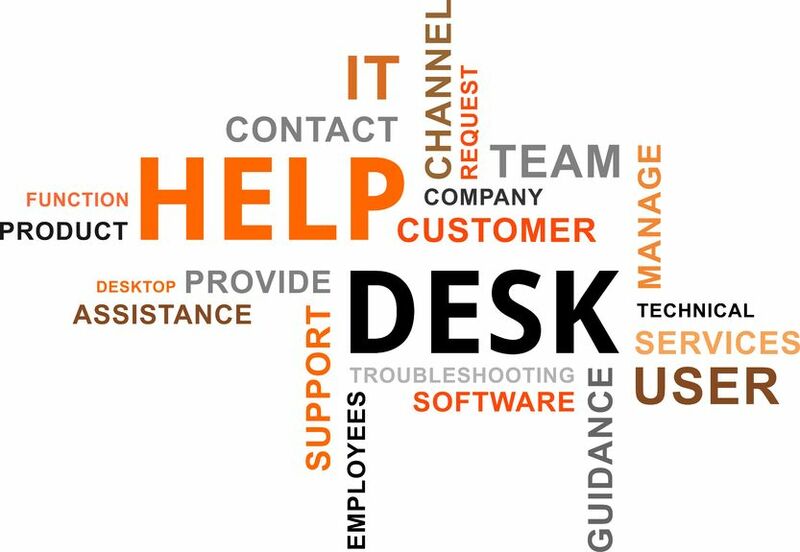 It is widely known that help desk software is for issue tracking, primarily used by an IT department. But the software’s potential goes far beyond by also providing modern solutions for other departments in an organization. 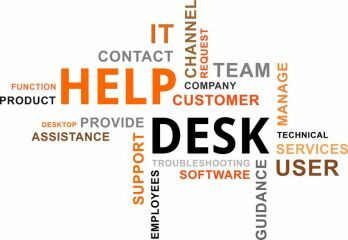 First, What Is A Help Desk Software And How Does It Work? In general, help desk software provides customers or end users with support and information related to a product or service offered by an organization by troubleshooting problems. The software serves as a database storing and managing lists with the concerns or issues. The program issues “tickets” containing the request of the customer or end-user on a specific issue, the status of the request, and other important data. These tickets issued by a help desk helps support technicians working with the software quickly identify, add to, and/or notify regarding the status of a request making sure no client is left behind waiting in vain for his or her inquiries. An array of additional built-in features is common among help desk solutions including email-to-ticket conversion, satisfaction surveys, file attachments, a knowledgebase, automatic workflow processing and asset management, among many others. Can A Help Desk Help The Human Resources Department? From large corporations to small schools, each department is designated to tackle hundreds of tasks each day. This is especially true for the HR department. For example, the process to onboard a new hire includes everything from getting all the documentation and approvals to requesting computer setup and access. The HR department can use help desk software to manage their own internal tasks and processes involved with running the department by itself. However more so, help desk software can also add accessibility to other departments needing to be involved with shared responsibilities and coordinating tasks. Hardware and Software Setup for New Hires – If there is a new faces at the company, the HR department would want to get someone from the IT department to help them set up computer access and perhaps specific software installed for their position. Instead of sending an email to an overflowing general inbox or a busy IT manager, a HR rep would initiate a workflow process with a ticket template that requires perhaps only the basic info of the new hire which automatically sends a ticket to a designated IT technician with a high priority indicator to set up the new hire’s specific hardware and software. Once the task is marked as completed by the IT technician in the help desk, the HR rep is notified and more tasks are triggered all in a specified order. Track Employee Records and Benefits – Vacation, sick leave, PTO, healthcare, 401k and employee investment plans. All things HR needs to record and track for each employee. An employee needs to update their health care plan with correct information. The employee sends an email to the HR department which filtered through the help desk converts the request into a ticket and is ready to be prioritized and organized into the correct representative’s queue. The rep communicates through the help desk which appears as emails to the user and everything said is tracked within the ticket. The employee receives a confirmation email once the rep completes the update and closes the ticket. Grant Access to Documents and Employee Self-Service – A knowledgebase is a library of articles providing selective access to information for users. A manager may need to know the policy and procedures on approving requested time-off for employees. A knowledgebase article containing that information could be accessible for manager-level employees through a keyword search box and shared with other managers through email with the simple press of a button. How Does It Work For The Finance Department? To marshal numbers in an entire organization is crucial. Finance remains a critically important segment for multiple organizational functionalities – AP/AR, budgeting, payroll, office management and many others. These processes require immediate attention and direct solutions. The helpdesk software provides the first point of contact and the central source for help with online banking and trading within and outside an organization. There are help desk solutions that allow employees to create tickets for finance-related queries, whether internal or external, in tracking discussions by making them stay informed while responding to clients or co-employees. It helps employees manage expenses, track ledgers and time spent making a knowledge repository. It saves time spent on logging and invoicing, too. The success of using the helpdesk software has a direct impact on the organization’s overall profitability. A small oversight in the finance department can result in a huge toll on the rest of the organization. How Does It Work For The Facilities Department? Aside from the two core departments mentioned earlier who are interlinked with the IT department, the Facilities and Maintenance department can also benefit the use of a help desk software. They are the ones who process work requests dispatching technicians who maintain building systems, facilities and equipment. Separate each task as a ticket with step by step instructions for maintaining a preventive maintenance structure. The tool allows an administrator to assign these tasks to a technician who will complete and report the repairs. Automate your preventive maintenance process with workflow. Setup tickets to launch in sequence, one task will launch once the previous task has closed or launch multiple tickets simultaneously. Base your workflow on any status you choose, even custom statuses that you create. Make the technician’s experience easier and more satisfactory. Access a ticket from any web-enabled device. Ticket templates allow you to create a ticket for a common issue and launch that ticket in one simple step. Consider your organizational needs before researching or deploying technology solutions. Don’t forget your customer and internal end-user experience. You will find a help desk helps you analyze incoming issues and pinpoint recurring problems within your organization. Maximize delivering quality service to ALL your stakeholders.